"In the winter, when the sun remains closer to the horizon, the angle of the light is such that the the water sparkles. My father has said many times that "The bay is sparkling like diamonds!" This painting was inspired by a photo I took of a small inlet in the Gulf. As is often the case, I sacrificed realism for composition. 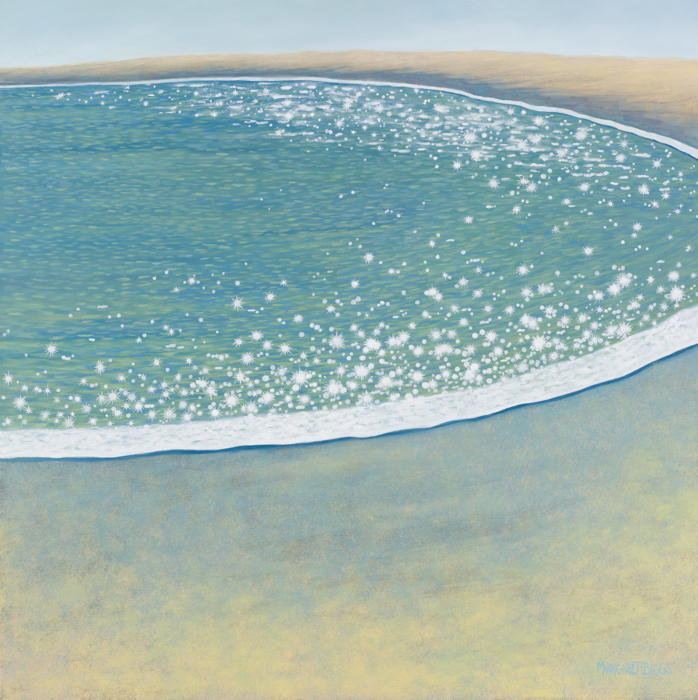 Using various techniques including stippling for the sand, glazes for the water and the multiple impasto layers of the sparkles."